Who needs a professional decorator or a big box store? You can make your home look beautiful and trendy all by yourself! The beautiful thing about DIY decor is it is uniquely yours and your projects are one-of-a-kind. Check out these fun DIY decor ideas to make your place look design magazine-worthy. Get ready to feel inspired! Got a plain dresser? Give it some flair! 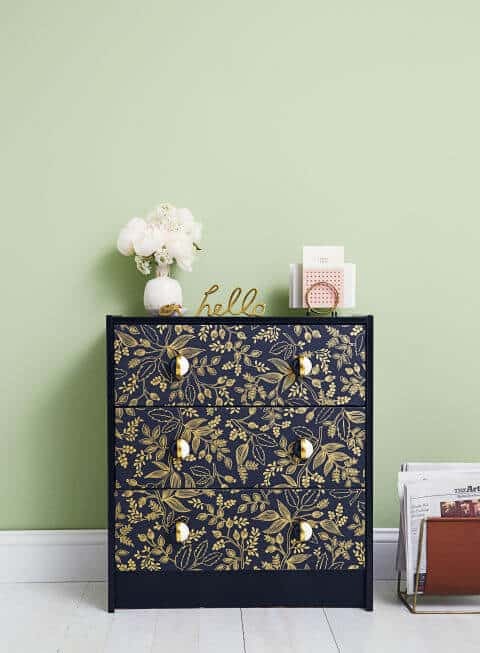 Add a splash of paint, and stick some fun wallpaper to the front drawers. You can even add some fun drawer pulls, too. World Market is a great place to look for those. Channel your bohemian side for bedtime with a homemade macrame wall hanging. Get a wooden dowel or curtain rod, some string to hang your artwork, and rope. Watch this video and get knotting! Create adorable labels for your kitchen storage canisters. This trend is all the rage, and a great way to keep you from pouring a spoonful of salt into your coffee instead of sugar. You can simply get some chalkboard sticker labels and handwrite labels in chalk. 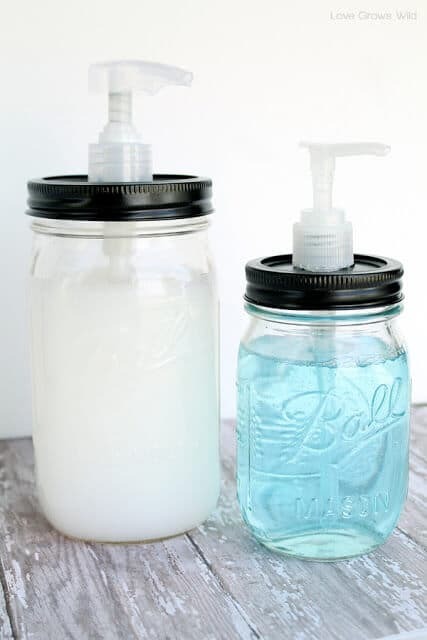 Make a cute soap dispenser out of a Mason jar to leave your hands squeaky clean. All you need is a jar with a lid, an old soap dispenser, spray paint, and glue. Click here for full instructions. These are so easy to make. They add a classic touch to any room and are great at blocking out excess light. 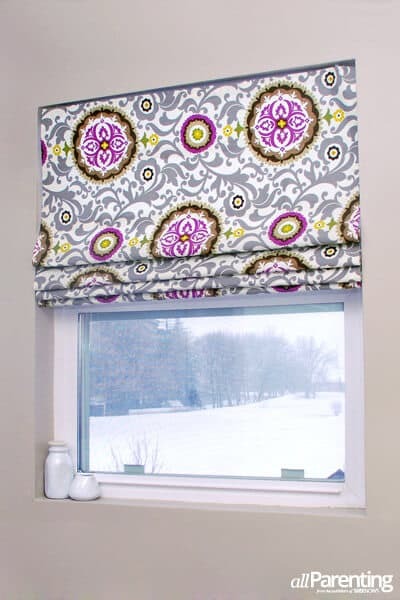 Instantly upgrade your window mini blinds without even having to sew. Pick out a fabric you love and get to it. Click here for details. Who isn’t sick of looking for their keys? Make a DIY key rack so you always know where your keys belong. There are so many different variations of this project, you have complete reign to make it your own. Check out this post from Apartment Therapy with 10 different ideas, featuring materials from Mason jars to wine corks. These little starburst knickknacks are pretty and trendy. They’re the perfect little addition to a bookshelf, coffee table, or desk. 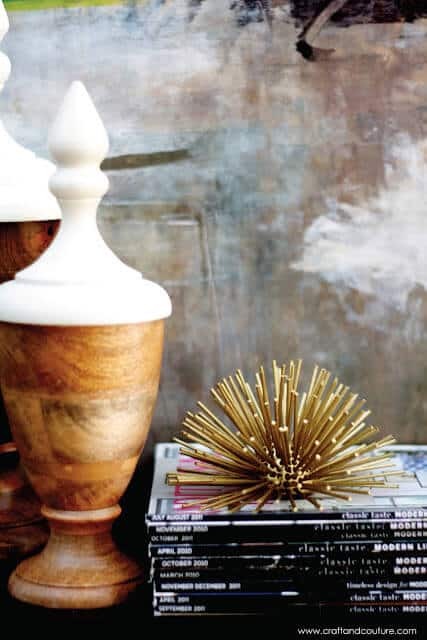 We love this idea from Craft and Couture that uses clay, wooden dowels, and gold spray paint. Did you love these DIY decor ideas? There’s a lot more where this came from! At Ameritex Movers, we like getting crafty. We’ve designed fashion out of moving supplies and built an 8-foot-tall city out of cardboard. We also have some super fun ideas for recycling moving materials and even making your own furniture! If you need help moving in the Greater Houston area, the Ameritex team is here to help. We perform home, apartment, and office moves all over town.